Some time ago, I spent a few months working in Israel. For a software company, as it happens, not on a kibbutz. Although fellow employees assured me the canteen food was pretty much the same as Kibbutz food. In fact, it gave me the worst food poisoning I’ve ever had. And I’ve had some corkers. But, this story isn’t about my stomach. It’s about my soul. Before I went, my mum said to me, “It must be so great to be amongst all that spirituality.” The great thing about Israel, and part of the problem with Israel, is that it is the holy land to a lot of religions. Mormons and Scientologists are two modern religions who have solved this by placing their promised lands elsewhere. Respectively, Utah and the planet Sklurpink. As an Atheist, I miss a lot of spirituality in my life. I miss that calm and deep contentment of knowing something beyond my comprehension cares about me; and will always care about me. It’s a really pleasant thought. I wish I could believe it. So I made it a point of that trip to see if my mum’s Church of England view that Israel was “full of spirituality” was true. I immediately realised on arrival that Israel is not my promised land. It’s too hot. Whoever made my skin didn’t make it for sunny climes. It made it for rain and caves. 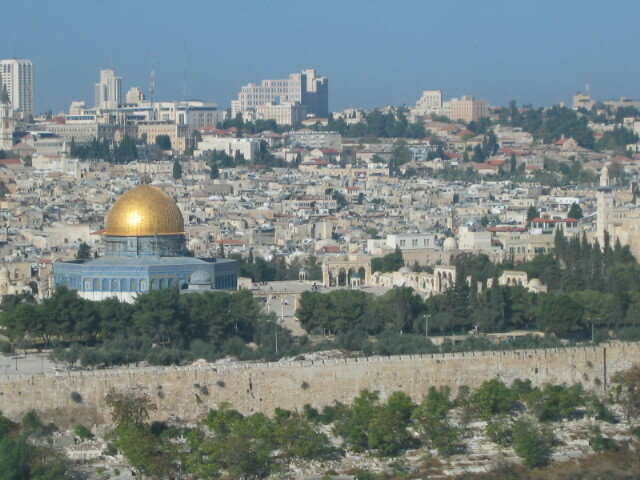 But I still felt that whilst not being my promised land, it should have some spare spirituality to offer. I explored: I went on tours; I wandered around holy sites; I visited diamond factories. I left no holy rock unturned. Obviously, I didn’t turn over the holy rock - that would have upset people. But metaphorically, that’s what I did. I visited a church in which was a smaller church which was carved out of the cave Jesus was supposed to have been buried in. I got caught in the throng at chucking-out time at one of the holiest of mosques. I saw segregated wailing against the remnants of an ancient temple. I peered into a small hole at an excavation that quite possibly could have been of the stable where Jesus was born. I walked along one of the suggested routes that Jesus might have taken to be crucified. A route made unlikely given that the city itself had been destroyed and rebuilt 3 times since he died. 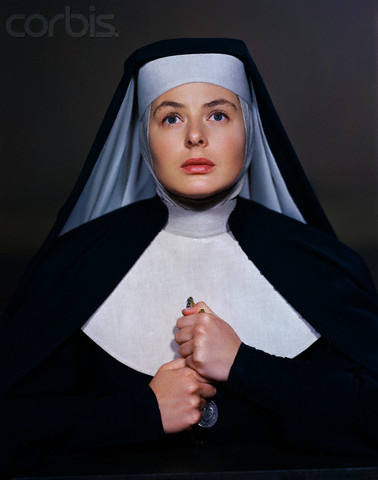 I saw a nun who was so beautiful, I couldn’t believe she was a nun and that she had to be an actress playing a nun. Or a very high class stripogram. I saw the mount from which the dead will rise come the end of days, and I reeled at how much it costs to be buried there. I walked all over various cities. I saw the most northerly gun emplacement and the much desired heights of Golan. I floated in the saltiest of salty seas. I saw walls; I saw protesters. I saw teenagers out on the town but still on national service duty so that they had with them a gun as big as they were. I ate falafel; I stood in queues for nightclubs and saw lots and lots of writing that for a good while I was convinced was simply English written upside-down and backwards in an odd font. It’s not. I experienced all this. And although I saw much to fascinate me anthropologically, I hadn’t had anything like a spiritual experience. I’d seen others have them, but not me. Until one day, just before the end of this trip. I was wandering around Tel Aviv which isn’t a very spiritual town in itself, unless that’s how you feel about golden sands and girls in bikinis. After a good long walk about the city, I rounded a corner and there was something that nearly made me drop to my knees. It was a sight that made me so overjoyed and also made me realise what it is I value in life. It was a big, well-stocked branch of Tower records. It made me realise that the places that I went into religiously were record shops. And to find a branch of one of my favourites there was a real “aaaAAAaaa” moment. I don’t remember what I bought there, but I know I did buy something. Back then, I never went into a record shop without buying something. They’re like my Ghurkha knives. (Once unsheathed, you have to draw blood.) I’m sure I would have bought something by a local band, possibly covering classic songs with a local flavour, but now it’s got lost in all the many, many other CDs from many, many other shops. But what hasn’t been lost is that realisation that music, done right, has a more uplifting effect on me than pretty much anything. Comedy comes close, but comedy isn’t mysterious and unknown to me like music is. Comedy is more like my politics. Music is my religion. And that was the spiritual message I brought back from Israel. That and the mental image of the hottest nun you’ve ever seen.